Q&A: I WANT NEW IMPLANTS, MINE HAVE LOST VOLUME AND RIPPLED DUE TO WEIGHT LOSS. 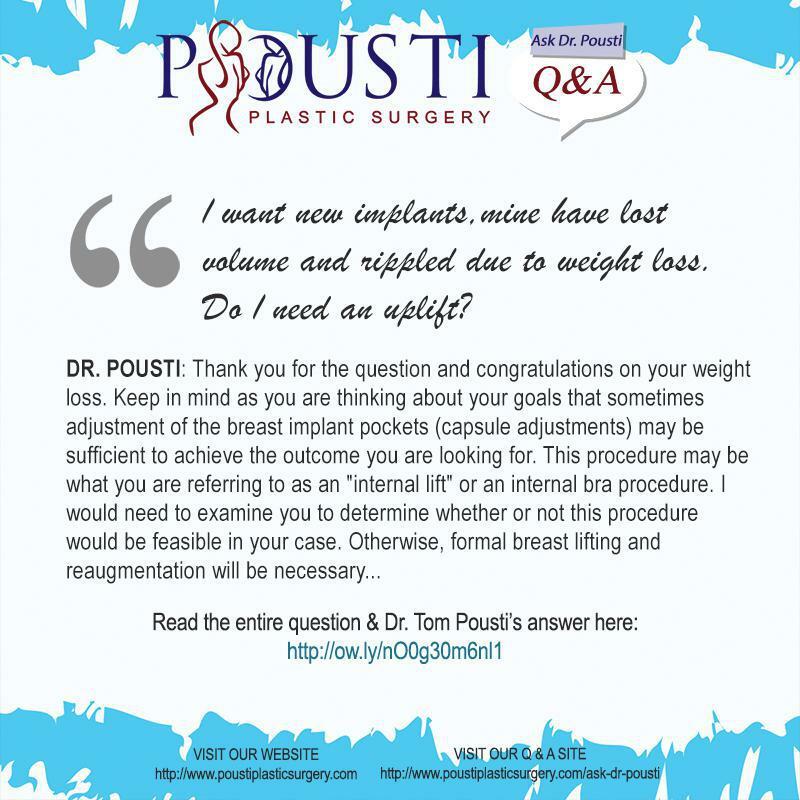 Pousti Plastic Surgery Blog Q&A: I WANT NEW IMPLANTS, MINE HAVE LOST VOLUME AND RIPPLED DUE TO WEIGHT LOSS. "Do I need an uplift? I really don’t want to. But I do want much bigger more high profile fake looking if you will! Can an uplift be done internally and will that be enough if needed? What kind of size implant would be good? I am a uk 32e now. At the moment they are very empty feeling and have rippled and don’t feel as firm as they did. I had them done in 2009. I would appreciate any advice and help." 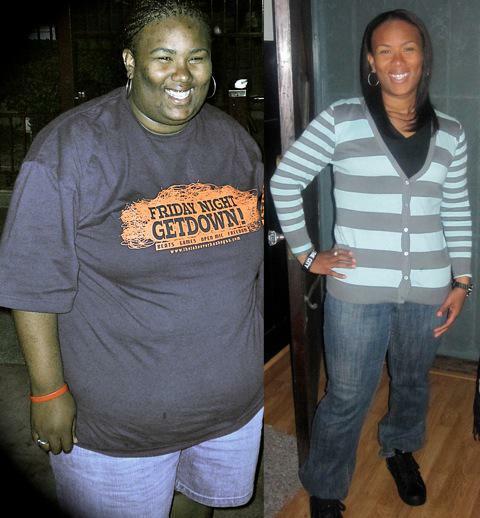 DR. POUSTI: Thank you for the question and congratulations on your weight loss. Keep in mind as you are thinking about your goals that sometimes adjustment of the breast implant pockets (capsule adjustments) may be sufficient to achieve the outcome you are looking for. This procedure may be what you are referring to as an “internal lift” or an internal bra procedure. I would need to examine you to determine whether or not this procedure would be feasible in your case. Otherwise, formal breast lifting and reaugmentation will be necessary. In my practice, the use of photographs of “goal” pictures (and breasts that are too big or too small) is very helpful. I have found that the use of words such as “natural” or “up a cup size” or “DD cup” etc means different things to different people and therefore prove unhelpful.